For the front office and the coaching staff, another 8 win season could well be their last. The pressure is on to get over the average hump and get not only a winning season but a spot in the playoffs. But the team has a lot of questions to answer before that happens. This is the third year of the “Matt Schaub” experiment. So far, Schaub has yet to complete a season. He is one of the talented but fragile QBs in the league. He is going to have to say healthy and improve in 09 to get this team into a playoff position. They are in the AFC South with two of the NFL’s best teams the Colts and the Titans. He must limit the turnovers and increase the TDs for the team to be competitive. His backups are Rex Grossman and Dan Orlovsky. Neither of those two are going to get the team to 9 or 10 wins. The running game has had resurgence in 08 with rookie RB Steve Slaton. The team knew that Slaton had speed but were amazed with his ability to run inside through microscopic holes. There is quality and experience behind him in Ryan Moats, Cecil Sapp, and Chris Brown. The receiver is outstanding—Andre Johnson. AJ has been a one man show making very average receivers Kevin Walter and 3WRs Andre’ Davis and David Anderson look good. AJ always has double or triple coverage. Walter had his best year in 08 and Davis can still go deep. Owen Daniels was drafted as a receiving TE but by hard work has developed into a good run blocker. The line is coming around but isn’t there yet. All 5 started all 16 games. That is critical because of the zone blocking scheme the team uses. LT Duane Brown was a surprise 1st round pick in 08 but I featured him in the sleepers column. He has developed into an above average LT with the chance to become outstanding. Gs Chester Pitts and Mike Brisiel, C Chris Myers, and RT Eric Winston are all meshing well and should continue to improve as a group. The only name behind this group is G Kasey Studdard but he may not make the final roster. Antoine Caldwell is pressing for a starting spot and C/G Chris White along with T Rashad Butler provide reserve strength. The team has spent 3 first round picks on the D line but have not yet seen that level of results. RE Mario Williams was the first overall pick in 06 and DT Amobi Okoye was the 10th pick in 07. NT Travis Johnson and LE Antonio Smith join the starters and all must generate much more pressure on the QB to produce turnovers. Rookie DE Connor Barwin will become a pass rush specialist to help accomplish that goal. Injuries reduced the effectiveness of this group in 08. MB DeMeco Ryans was the only one that stayed healthy all year. SLB Zac Diles and WLB Xavier Adibi played well but went down with season ending injuries. Rookie Brian Cushing was handed the SLB before OTAs and Diles will have to fight to get a starting spot back at the weak side again Adibi. Kevin Bentley, Chaun Thompson and Cato June all have experience and improve the bench considerably. They too will challenge for playing time. The best DB Dunta Robinson threatens a holdout. That is not good news for a group that suffered from injury and lack of pass rush. The other starters are projected to be FS Eugene Wilson, SS Dominique Barber, LCB Jacques Reeves. Look for both Fred Bennett and Antwaun Molden to challenge for CB spots. OVERALL: Given the two games each against the Colts and the Titans, anything over 8 wins would be a bit of a surprise. 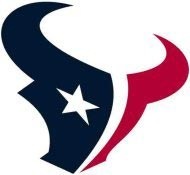 The Texans will be third again and fail to make the playoffs again.